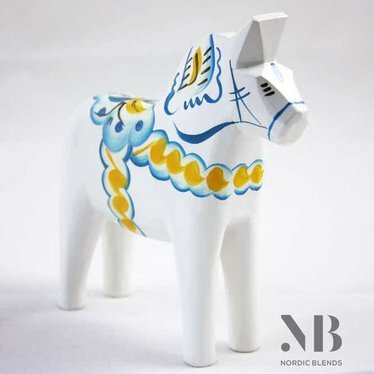 This is one of the newer Dala horses from Grannas. 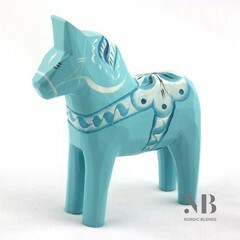 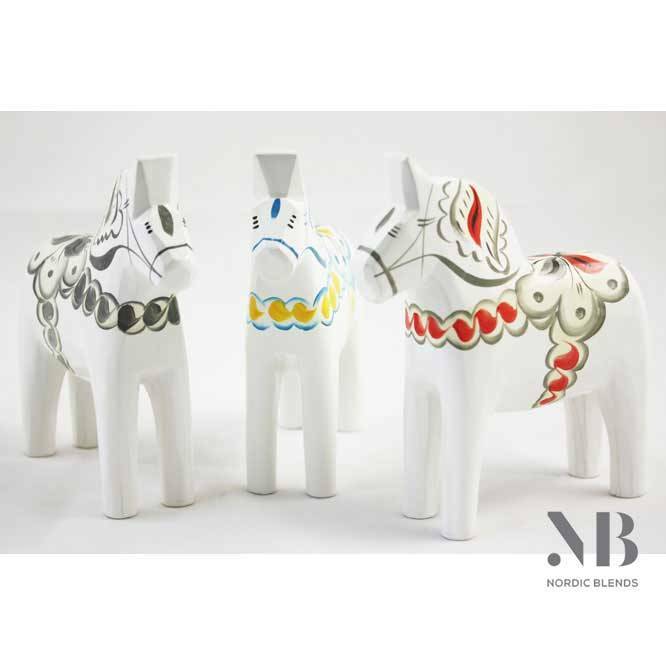 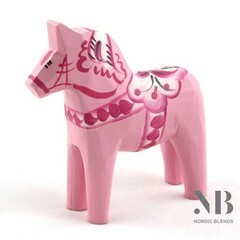 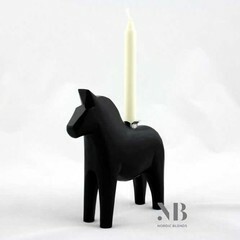 This horse has a white base and a beautiful decor in blue-yellow, the colors of the Swedish flag. 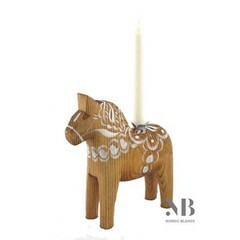 Traditional and yet completely from now.